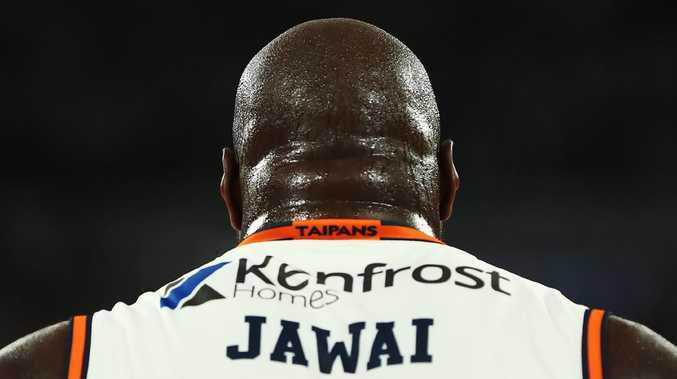 Star Cairns Taipans centre Nate Jawai will return to Europe for the first time in almost five years after signing a short-term deal with a French club. 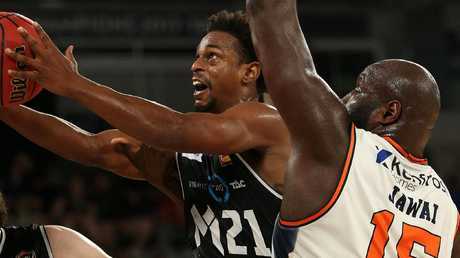 The 32-year-old big man will soon join French side Levallois Metropolitans after the Snakes' season finished on Saturday afternoon with a loss to Sydney. The club, that is based in Levallois-Perret, announced the signing of the Australian Boomer on Monday morning. The club are in eighth spot on the French ladder with a 10-9 record. Jawai comes into the team's squad for Mouphtaou Yarou, who recently has had a fractured Achilles heel operated on and is out for the rest of the season. Jawai has not played in Europe since 2015, when he was on the books of MoraBanc Andorra, and has played his last four campaigns in the NBL - one with Perth and three with Cairns. He is now out of contract after completing his three season deal with Cairns. Rookie Cairns coach Mike Kelly said earlier this month he was keen to bring Jawai back for another season. Jawai is not the only Taipan finding a new club recently, Melo Trimble will soon depart Cairns to take up his contract in Puerto Rico while Devon Hall is set to return to the NBA G-League. Trimble was named in the All NBL Second Team on Sunday night.